You are walking on the exact path you need to be on. Every step you take on it is necessary for you to succeed. Don’t judge or rebuke yourself for how long your journey on this path is taking. The time it takes for you to travel on your path may differ from others and that is perfectly fine. Travel at your own pace and don't let anyone else dictate your level of speed. Walking for sprinting. Its your choice. But remember that every step counts and the simple fact is, the most meaningful achievements in your life having to do with success, love, happiness, and financial security all come come from very same steps that you take repeatedly, every single day. Your steps are of the upmost importance. Regardless of what is going on in your life being successful or happy is not going to suddenly going to show up on your doorstep, it's going to require you to walk on your journey with some conviction, with some will power, and a clear picture of how you want things to work out. With every step forward you amass progress little by little and accumulate your success and happiness. Its going to take work like everything in this world and you have to be ready and willing to put in said work. It's possible but only if you want it enough. 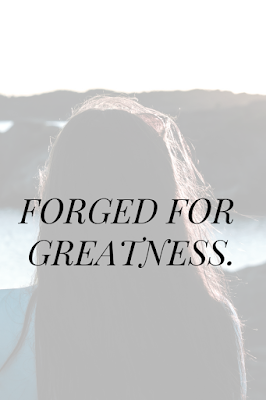 You are forged for greatness. 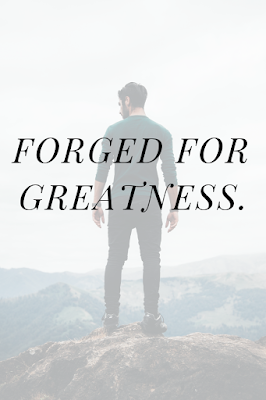 Are you willing to walk your path with complete and utter conviction?